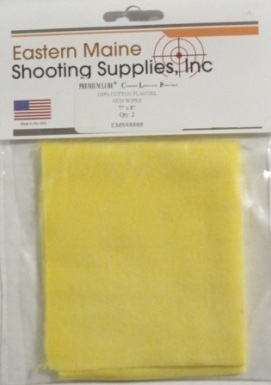 This bag contains 2 7"x8" 100% Cotton Flannel Gun Wipes. Lightly treated with Premium Lube®. Provides a handy final exterior wipe down. Will provide a rust preventative coating and weather-proofing shield.